Do you like nice soft shag rugs? I sure do, and I knew it would be a great addition to our nursery! 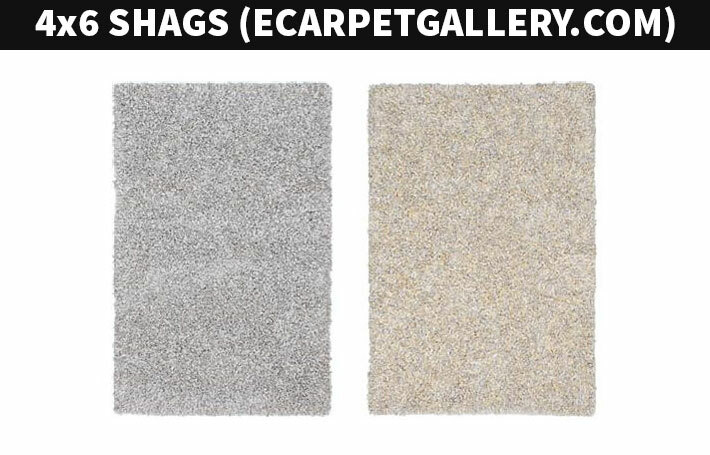 I’d like to share a bunch of shag rug options. 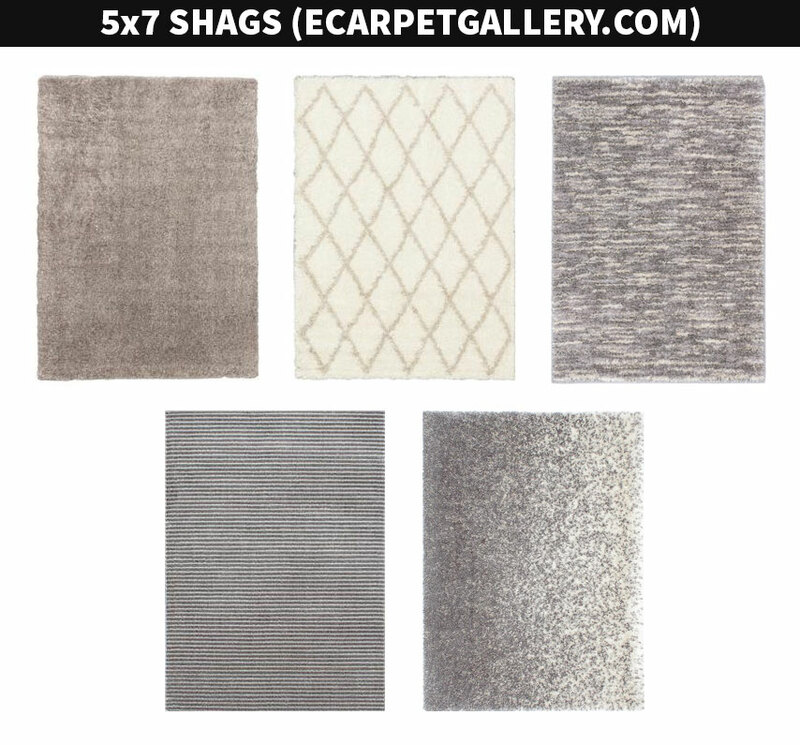 After browsing what seemed like WAY too many websites and clicking on way too many rug links (during the One Room Challenge of course) – I kept coming across the same website – EcarpetGallery.com. 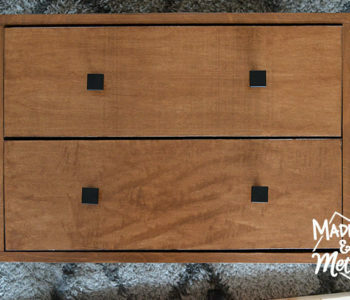 What drew me to EcarpetGallery.com was that 1) they offered free shipping, 2) they are located in Canada! and 3) they had SO many different shag rug options. After saving a pretty extensive wish list on their website, I decided to reach out and see if they could offer me a deal. I am happy to say that they graciously agreed and I did receive a discount on my rug purchase. However, I would have definitely bought a rug from them anyways, because I honestly fell in love with the selection that much! Also – at the time I am posting this, all of these rugs are on sale for 50% off, which means that they are all priced under 300$!!! 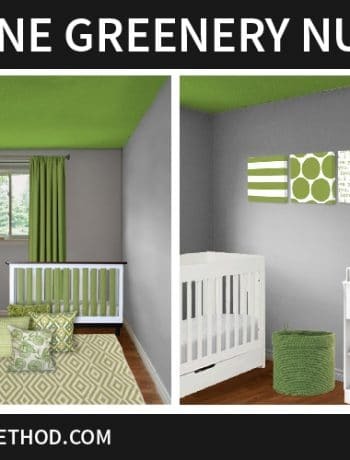 The first two options were pretty similar, one is a light gray and the other had a bit of yellow mixed in. 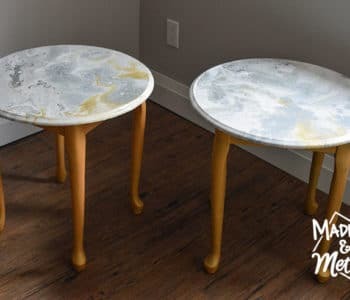 These would definitely fit in the room, and I liked that they were also priced the lowest. A round rug is such a fun shape right? 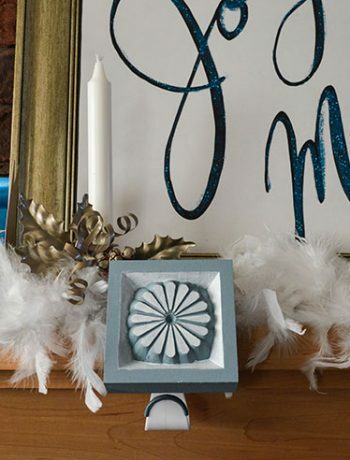 It would work perfectly in a nursery, and I feel like you would never get any corners that curl up (does that happen with rugs?). Keep in mind that for these (and for most of the others) there are many different colour choices available. But I wanted to stick with something fairly neutral that would match the existing décor in the room. The next couple of options are all pretty similarly sized, so let’s just say around 5×7. I like that some of these have different colour variations/patterns. These next three options are all the same “type” but vary in pattern. I think they would all look great in the nursery! 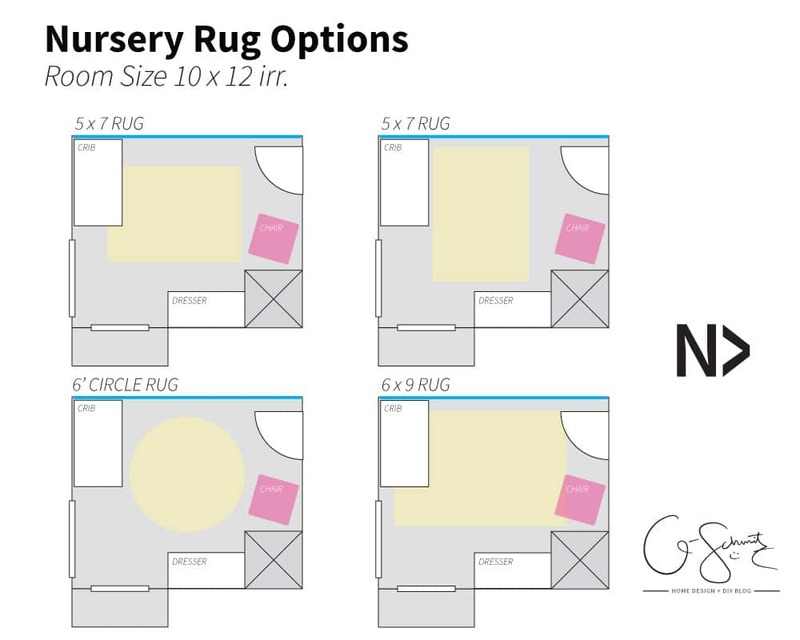 Can you tell by now that I was really having a hard time choosing the perfect shag rug option for the nursery? 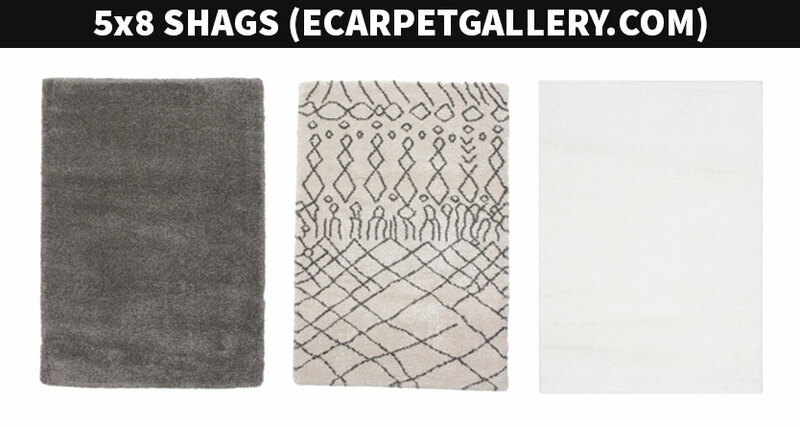 These were a bit longer, and again, all great rugs! Finally, the largest size I could go with would be just over a 6 x 9. I measured the room a bunch of times, and we are actually just less than 10′ across one way. 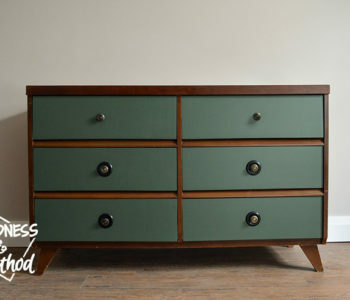 This bright green one might seem misplaced among the options I’ve shared so far, but I think that it would be a good colour I could bring into the room, Also, not to be too gross or anything, but if you’ve ever changed a baby’s diaper you know that any stains would be virtually hidden here! If this rug would be going in our bedroom, I would have been more comfortable choosing a white or off-white option. 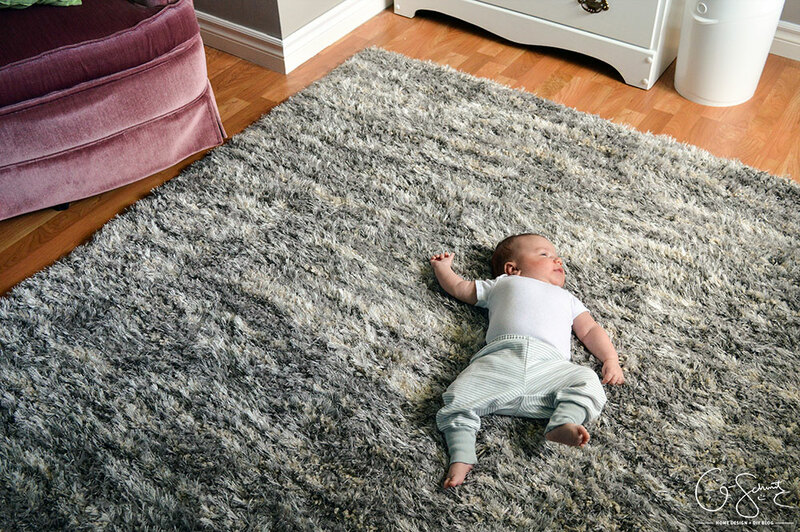 But, like I just mentioned, because I was looking at shag rug options for the nursery, I was worried about any potential stains that could happen. 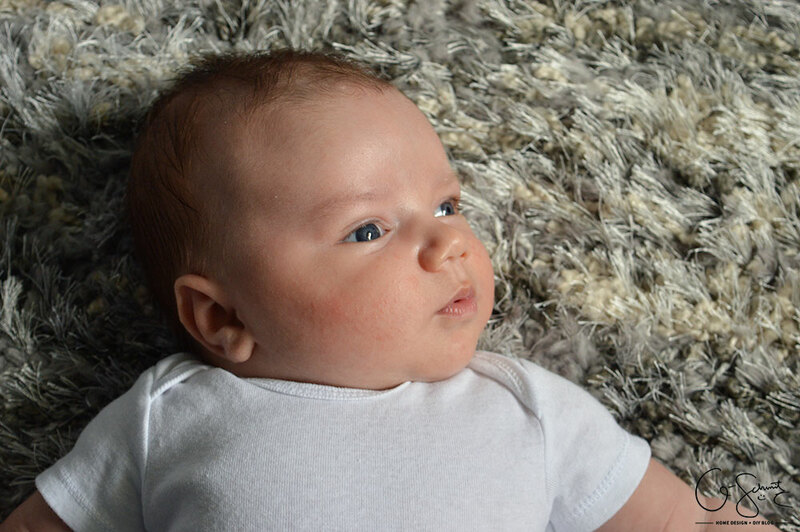 I was also hesitant to get a gray rug, because the colour might not have matched the already gray walls. The Yeti Light Gray Rug! I liked the different colour variations in the rug, and I was confident that if there were any stains in the future, that they would be better hidden with this one. I did also really consider the more geometric patterned options, but ultimately went for practicality. (My Mom helped me decide because the Husband was no help…). Once I made my decision and ordered the rug, I was surprised how quickly it was delivered (just a few days!). Thankfully the Husband was home at the time and he was able to move it in the nursery and roll it into place with me. Can I let you in on a weird secret? I LOVE the smell of fresh carpets / new rugs. Something about those plastic fibre scents just really appeal to me. In fact, it’s my second favourite smell behind clean laundry (which I’m sure you remember from this post). I can’t wait for some real baby play time on this “baby”! Heck, even Tootsie was excited and has rolled all over the new rug countless times! (I can never get a picture of her though since she tends to only do this when I’m busy feeding the baby!). 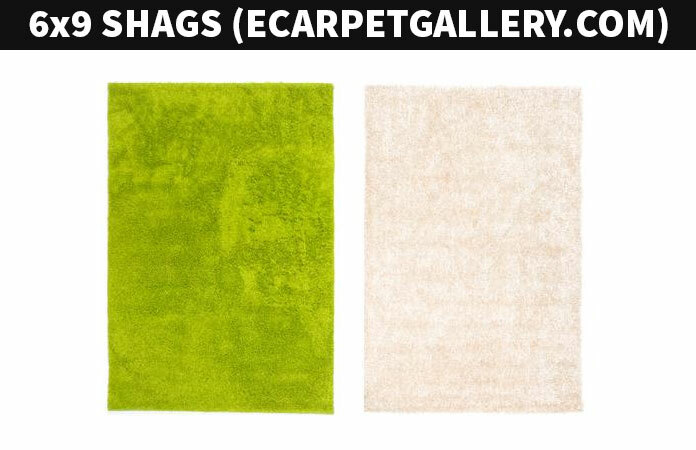 Even if you don’t like shag rugs, I would still suggest checking out EcarpetGallery.com because they have such a large selection of many different styles. I’m going to have to take a little break from their website because I feel like I would buy. all. the. things. 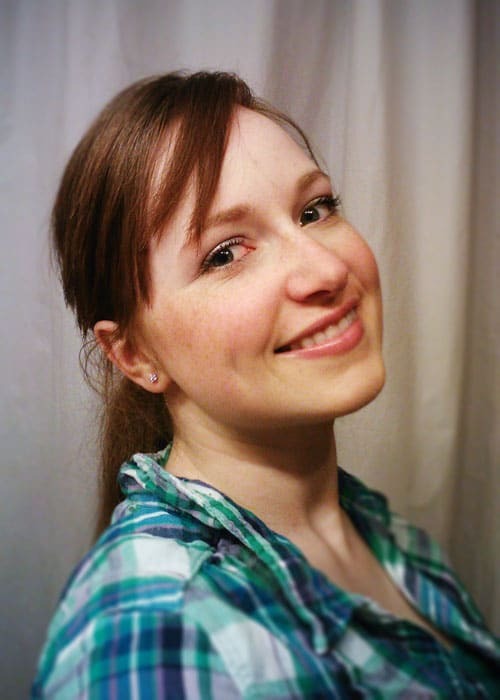 Are you looking to work with me in promoting your products or services? The Madness and Method Blog would love working with relevant/useful/appropriate businesses, please contact me to discuss ways we can coordinate and partner together. 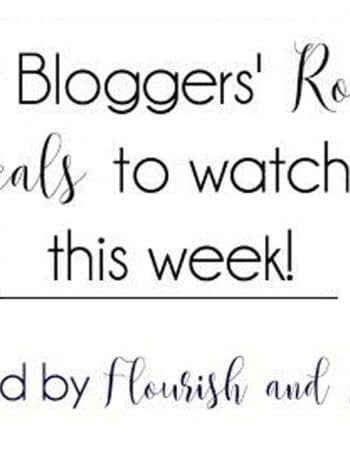 One Room Challenge Spring 2016 Reveals to Watch! Of course it was a great choice .. I might have had a little bit to do wth it!